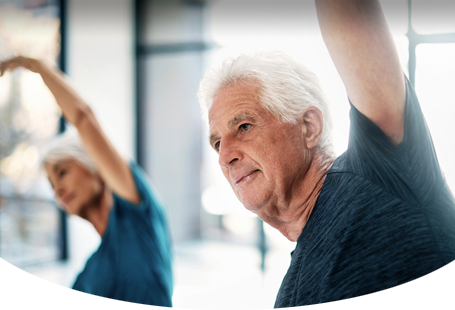 During shoulder replacement surgery, the ball (humeral head) and socket (glenoid) are replaced with implants, bone must be removed to allow the implants to be put in place. 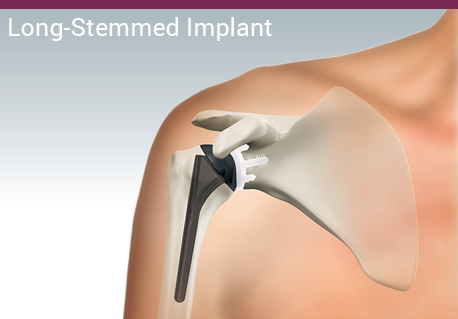 Some shoulder replacement systems have a long stem that’s inserted into the shaft of the humerus after bone has been removed. 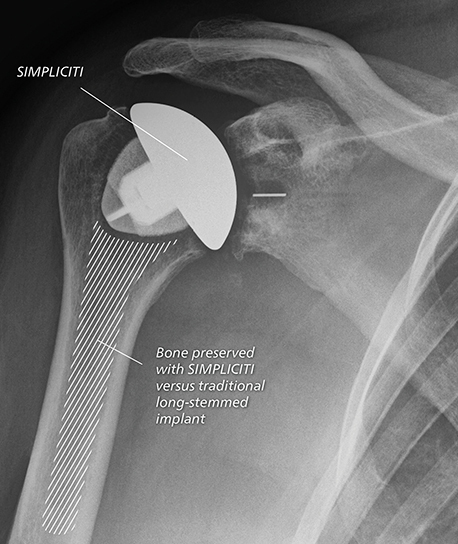 SIMPLICITI™ is a stemless shoulder replacement system, featuring a “nucleus” instead of a long stem which means less bone is removed to secure it in place. Ask your doctor if SIMPLICITI is right for you. 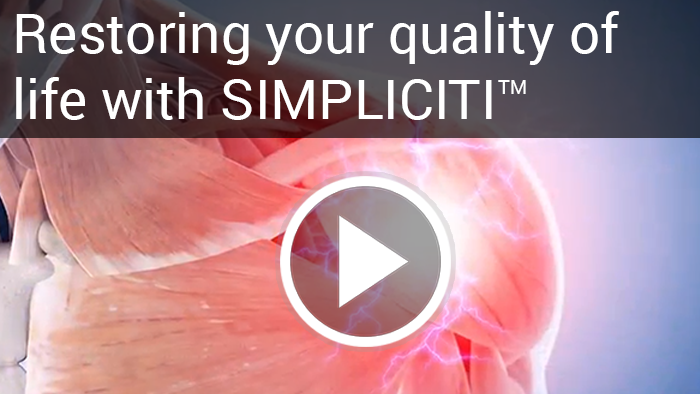 SIMPLICITI is not for people with poor bone quality, metal allergies or infections. 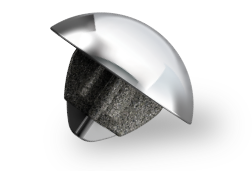 1 – Churchill R., Stemless shoulder arthroplasty: current status. 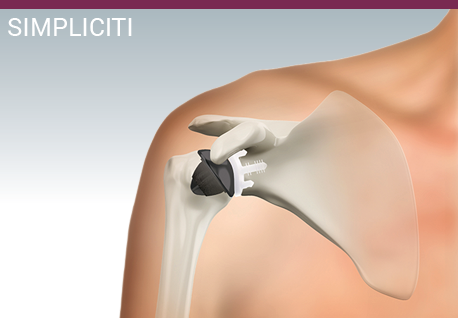 J Shoulder Elbow Surg 2014;23:1409-14. 2 – Churchill R., Clinical and radiographic outcomes of the SIMPLICITI canal-sparing shoulder arthroplasty system: a prospective two-year multicenter study. J Bone Joint Surg Am. 2016;98:552-60. 3 – Berth A., Pap G. Stemless shoulder prosthesis versus conventional anatomic shoulder prosthesis in patients with osteoarthritis. J Orthop Traumatol 2013;14:31-7. 4 – Data on file.